This week we do not have a new Bestie challenge, but since today is my (Deonna) usual post day, i wanted to present my newest Bestie Card. I hope that everyone had a Great Christmas! Today is Thursday which means it's my (Deonna's) Bestie post day. 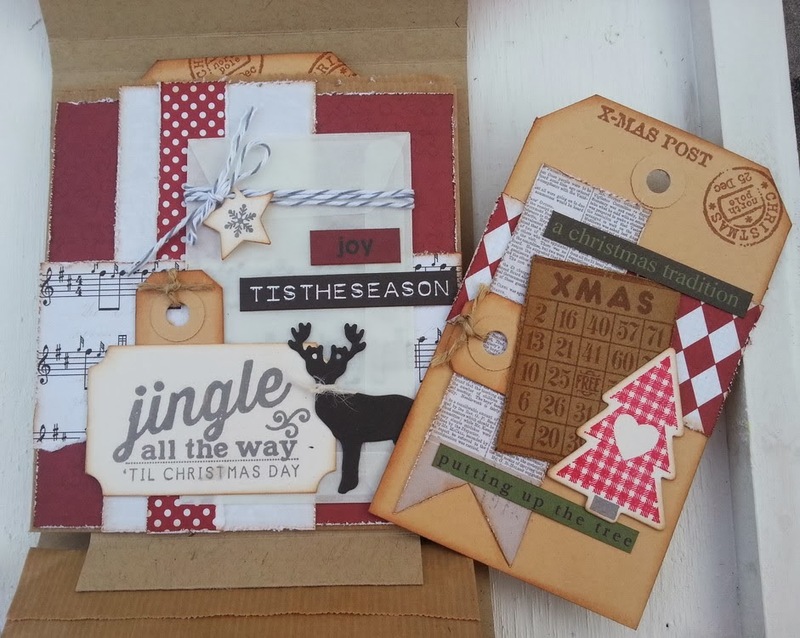 "Christmas Glitter, or Anything Goes with a Bestie"
Hello everyone and Welcome to my Thursday Bestie post. 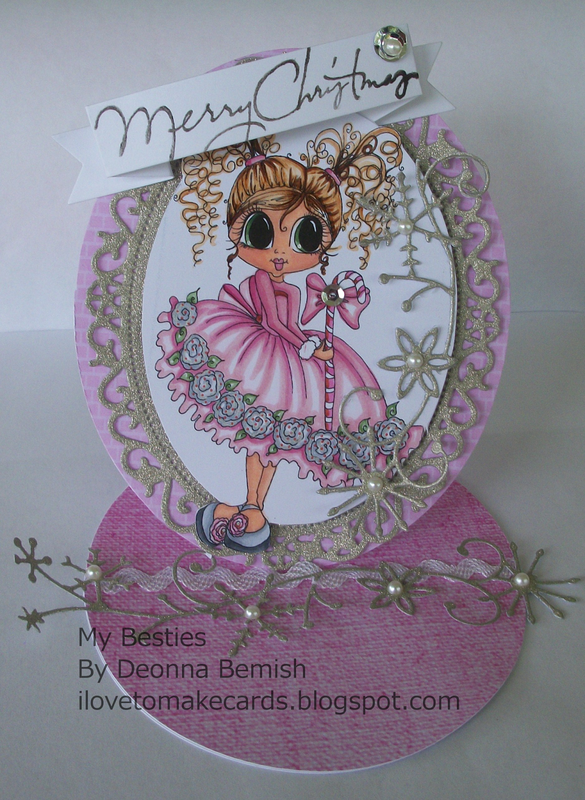 It's Deonna with another style of Bestie Gift Card holder. Here is my Card inspired by "We are Santas Elves"
Bestie Freebie Just for YOU! As promised, I have a FREEBIE! for you!! and mean so much to me and my family for all your love and support!!! You inspire me to keep doing what I love to do...Creating my art and the Besties!!! 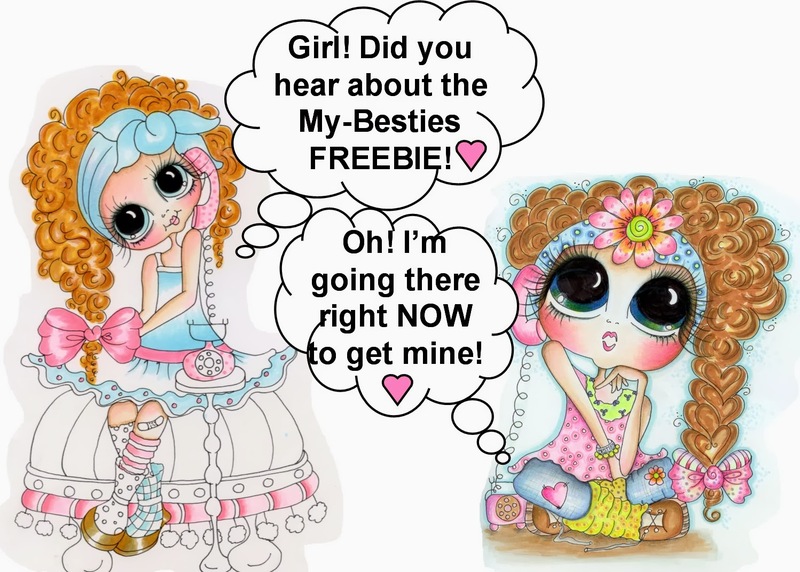 So for you love & kindness to me, I have a "My-Besties" Gift for you...Today !!! Here is how to get her! 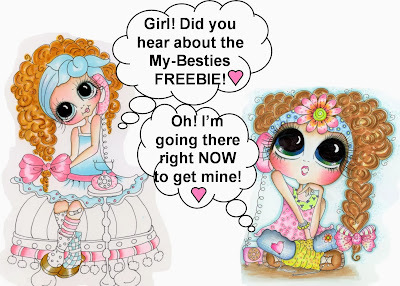 *First click "LIKE" on the page to be able to see the Freebie ..
*Once you click LIKE you will be able to see and save the Freebie...on the My Tab Page.. 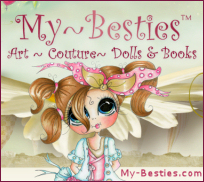 The green tab is in the above right corner ...Called "MY TAB" on the My Besties page!! Nog een keer een kerstkaartje. Ik weet niet hoever jullie zijn maar ik ben er bijna!! Ik blijf dit een super leuke Bestie vinden! 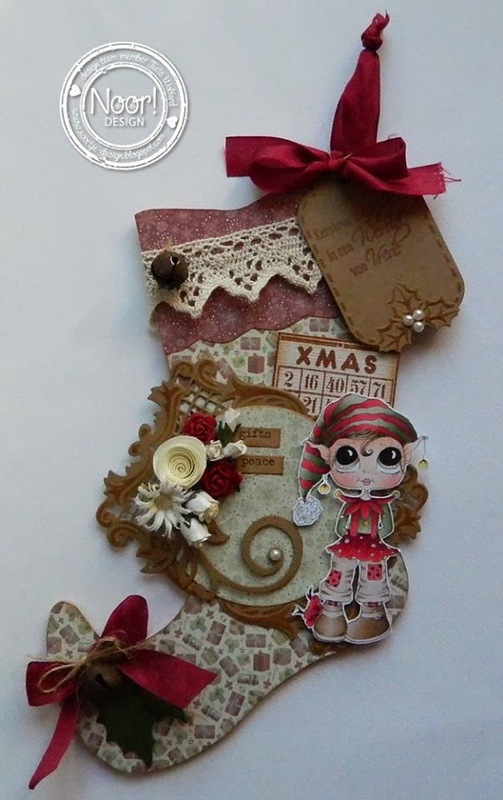 Another christmascard. 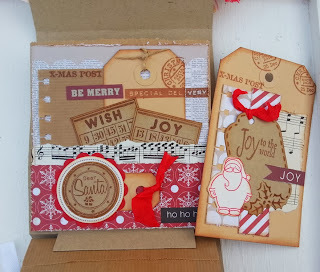 I don't know how far you are with your christmascards, but i'm almost there! I think this is one of the cuties Bestie. You can find her in the shop. It's Thursday which means that it's my (Deonna's) Bestie Inspiration post day. 50% SALE !! Pre Cyber Monday Sale! Because you are all so wonderful to me! 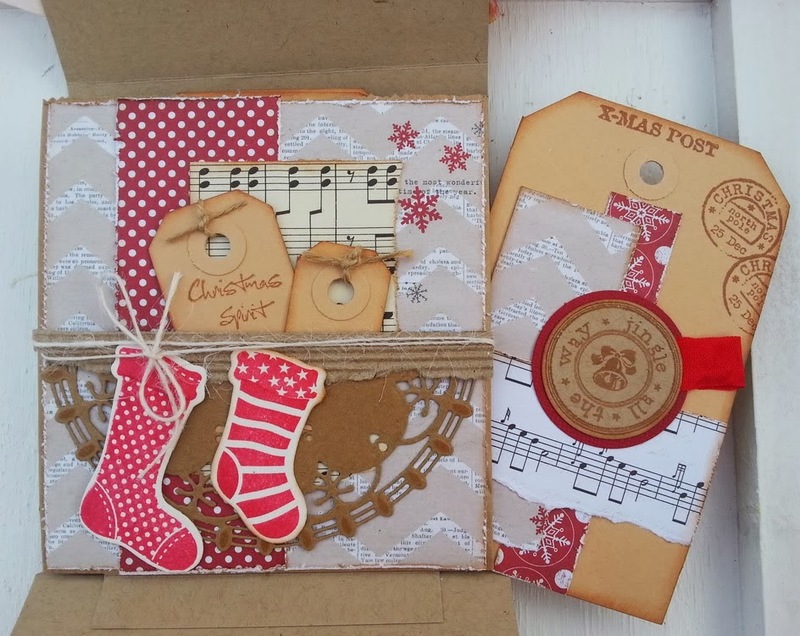 ...I have put together something Special for you! 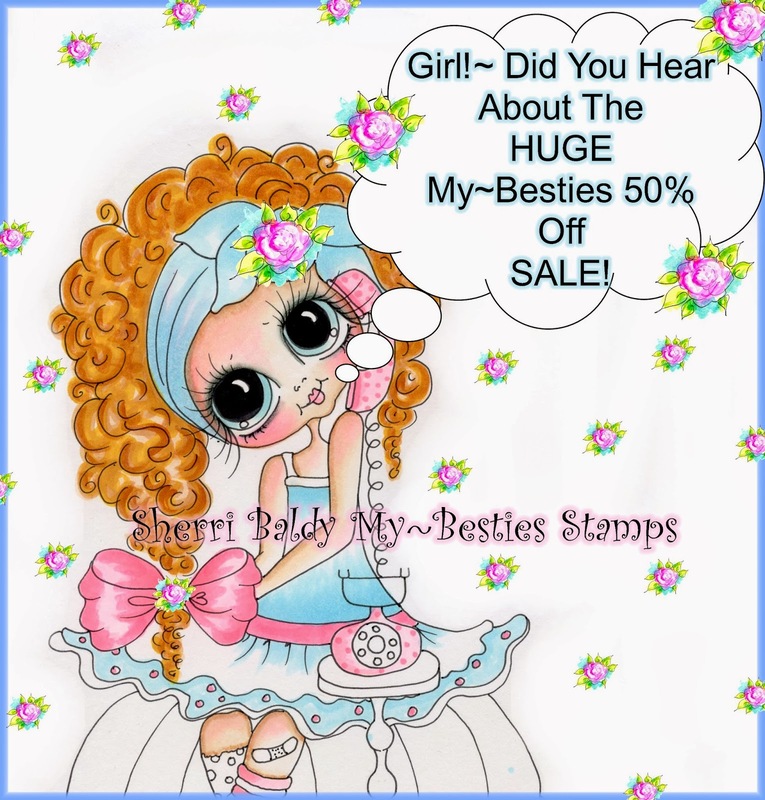 I'm so happy to share with you a SPECIAL PRE~CYBER MONDAY 50% OFF SALE... for all my Besite Pals starting now in our 2 Etsy Shops.... The SALE goes from RIGHT NOW until Midnight Monday at Midnight! 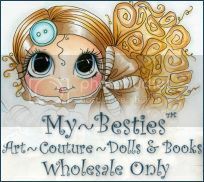 * I'm also so excited to show you our NEW Etsy SHOP with ALL the My Besties Rubber Stamps, CD"S and Fabric Blocks. 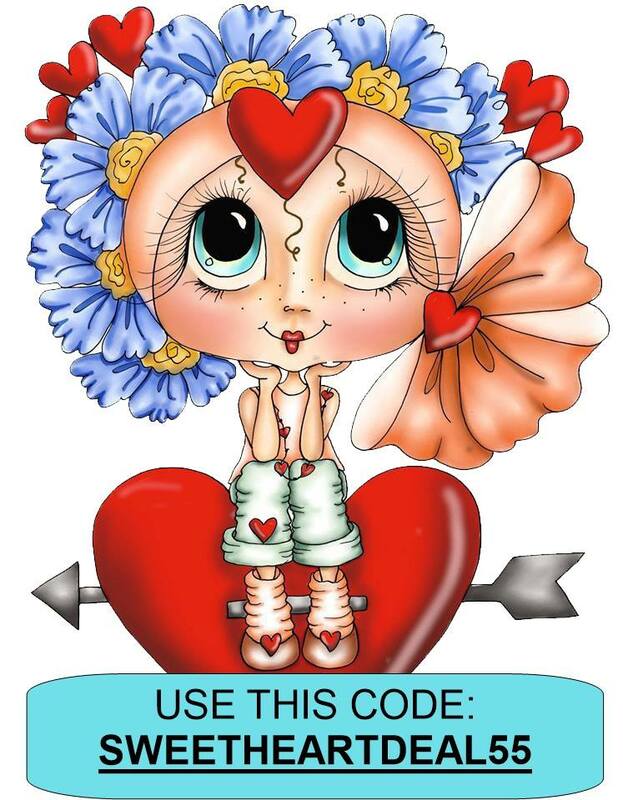 .. You can also Save 50% off in this NEW Shop Now....Until Monday Night! You can Also ENTER TO WIN 5 My~Besites Digi Stamps by SHARING THIS post and leaving a comment! Won't you be my Bestie??? This is what i came up with for this challenge this week. Thank you for taking a look and i'll see you next week! that was not that easy!! 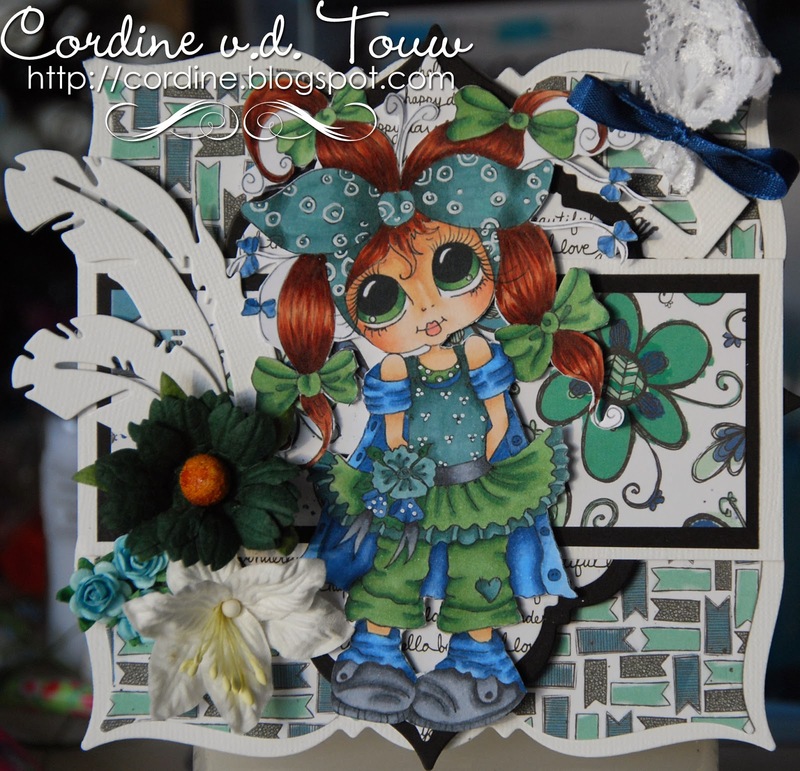 I have made this card with a shape art die from Dutch doobadoo, and fold it in half so you get a card who can stand on its own. 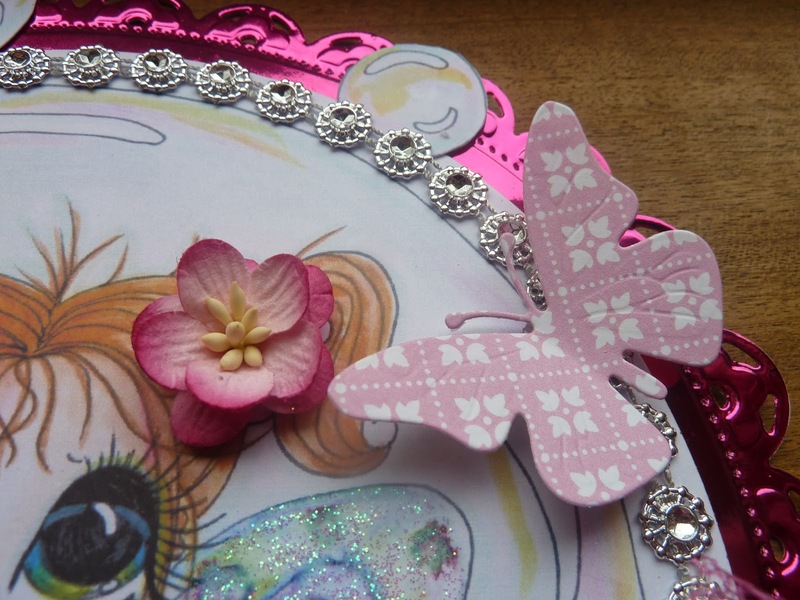 At the top you see the lovely butterfly die from noor! Design. 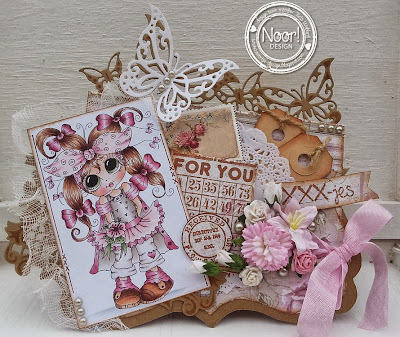 also the bingo card is from noor design. 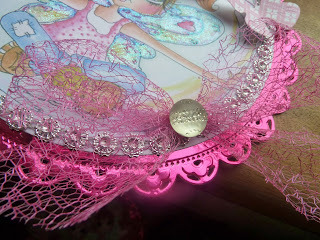 The dessinpapers I have used are from maja design.. one of my favorite!! 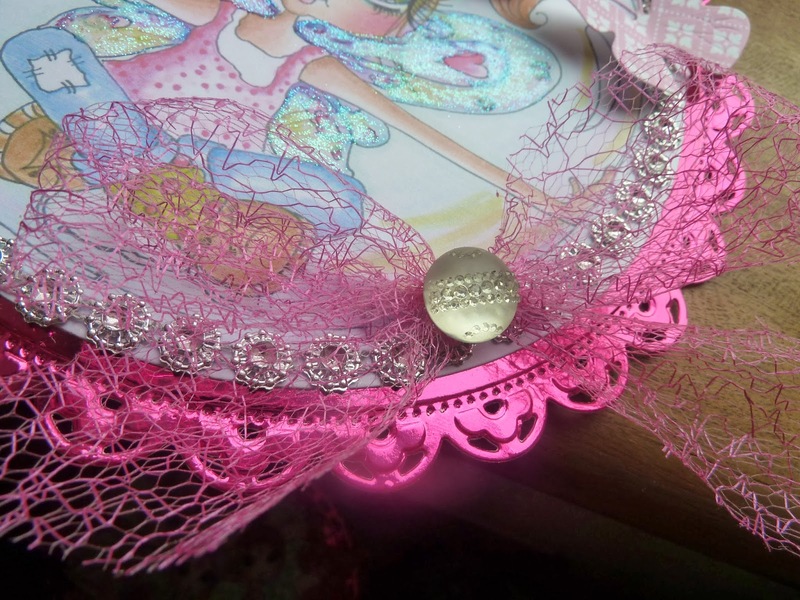 Some ribbon and lace of course on the card, and roses to finish it. I hope I have giving you some inspiration with the creation,. dat was een beste klus!! 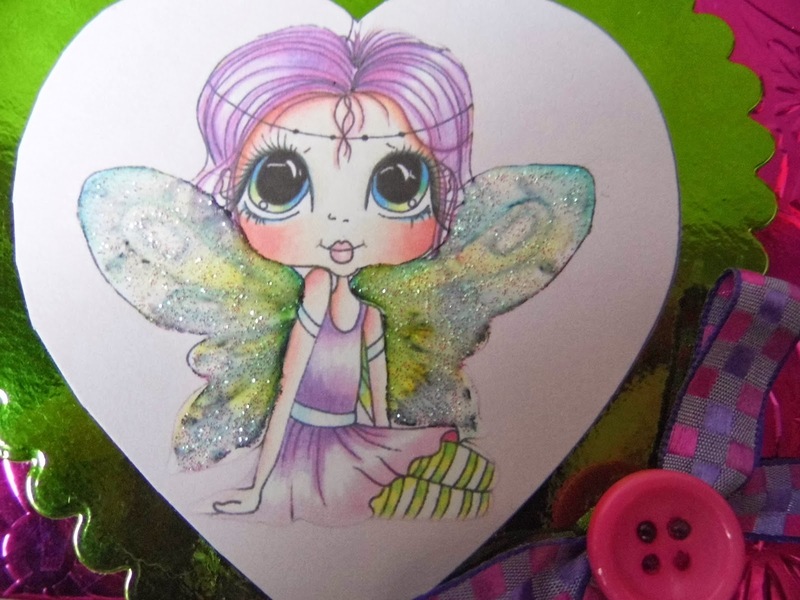 een sta kaart onstaat., Bovenaan de vlinderrand van noor design en ook het bingokaartje is van noor. Natuurlijk lint kant en bloemen om het geheel af te maken. 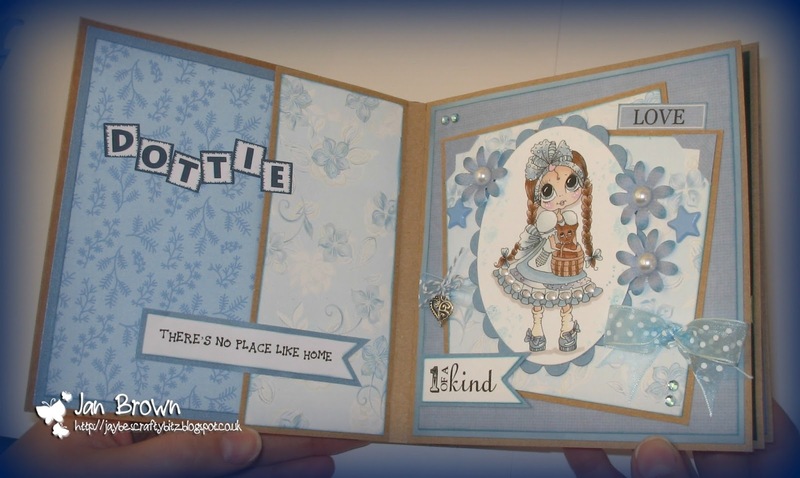 Het papier is trouwens van maja design. Ik hoop dat het weer inspiratie heeft gegeven. 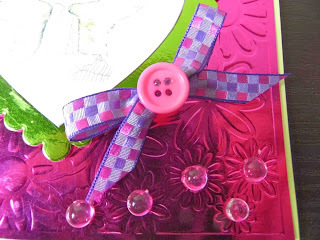 Today it is my turn to post a card on the blog. 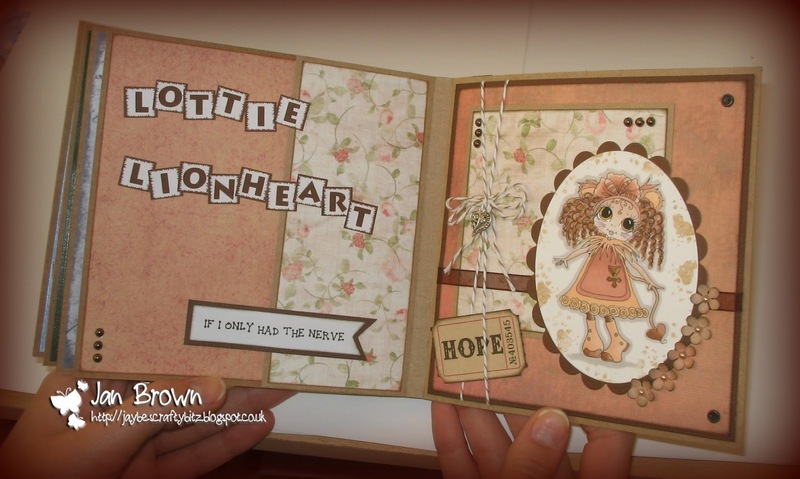 I have used this totally adorable owl digi, isnt she so sweet. Thanks for stopping by and i hope you like her. 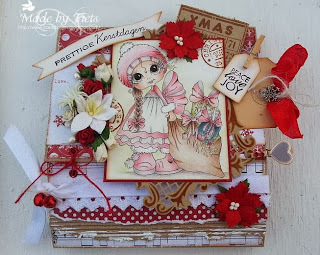 Een nieuw kerstkaartje, met ik denk toch wel, 1 van mijn favoriete kerst-bestie's. 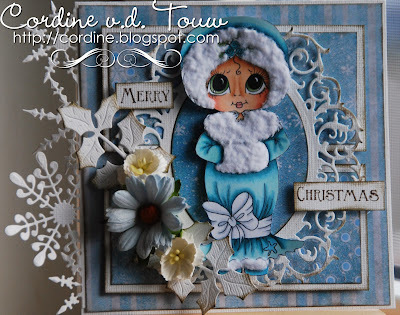 Another christmascard, with 1 of my favorite christmas-besties. Sorry voor de slechte foto! Design papier : Farmhoud "Norland"
Bedankt voor het langskomen en een heel fijn weekend! Thanks for coming over and a lovely weekend! 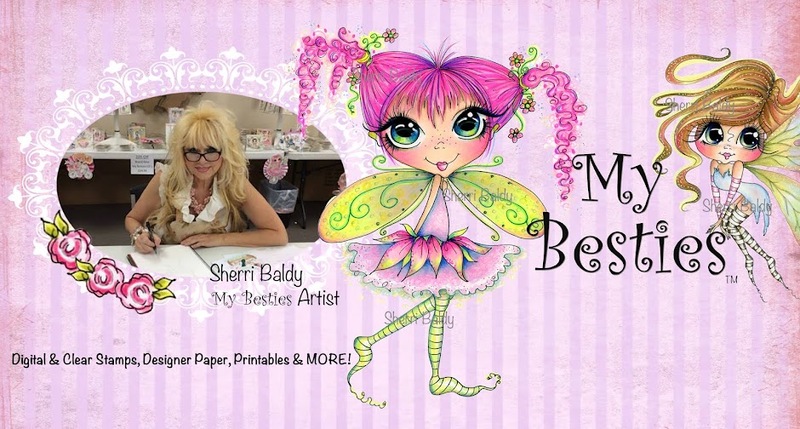 It's time to show/give you a little Bestie Inspiration again using this fabulous Bestie. 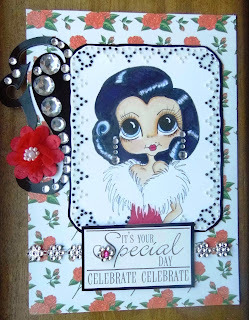 I had such a great time making this card. The image itself is just too cute for words. 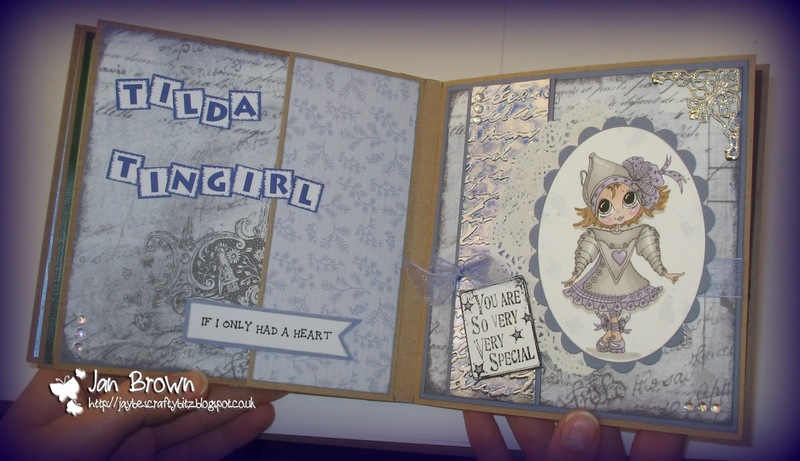 Thank you so much for stopping by and I hope that you enjoyed my card. Here is the Give Away! Today i have a blinged up mirror card to show you featuring one of the fairies from the Wee Winged ones cd. 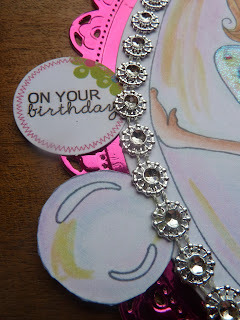 I love how mirror card embosses and cuts, its a beautiful effect. I gave this card to one of my crafting friends a couple of weeks ago and she loved it. Hello Everyone! Christmas is right around the corner. 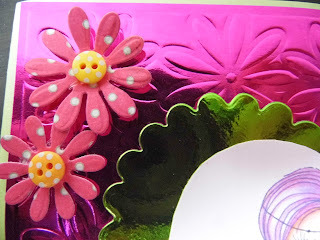 Today is my Bestie post day! Labels: Deonna, IMG little Dimples 4 snowmen. I think you all couldn't read the above text... but it is Dutch and means Merry Christmas. I have made this mini matchbook with 4 little paperbags and I have used a new digi. 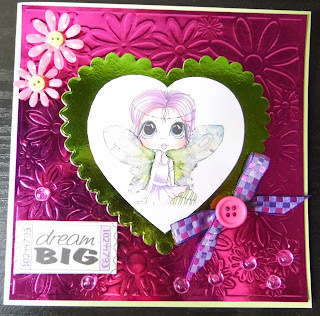 Sherri made this one specially for my cardmaking club. 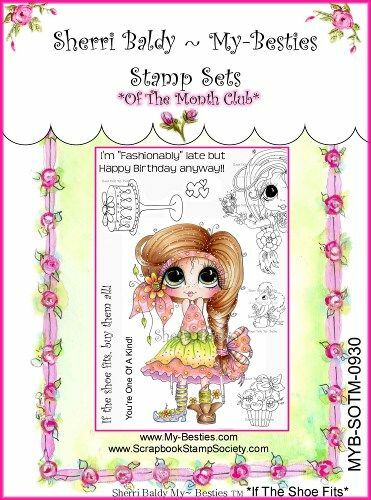 You can buy her after the 15 of November in Sherri's store , so that just a couple more days to wait. Isn't she gorgeous!!! I have colored her with a new coloring technic, called Pan Pastel. I don't know if you know this new technic. But I can tell you , if you can color with it, you are addicted to it!! The match book has 4 'pages' and I have used all kind of stuff to scrap it. 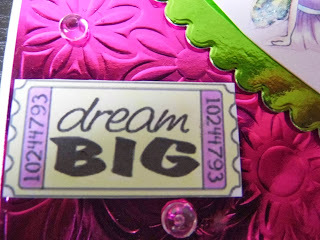 I just love making tags in it!! 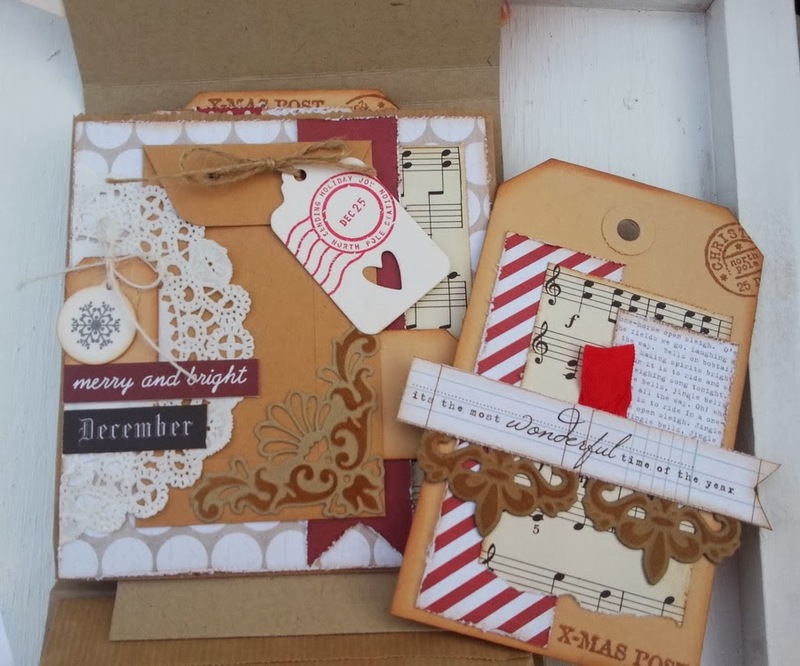 Hopefully you have enjoyed this project and maybe it has given you inspiration. Sherri had voor mijn club weer een prachtige digi gemaakt en ik heb er weer een voorbeeld van gemaakt. Dit keer een klein projectje zodat ik meerdere dingen en bedrijven kon combineren. De basis is van cardstock gemaakt en binnenin zitten 4 kleine paperbags. Ik heb de digi ingekleurd met pan pastel... zo leuk om te doen...enne zo verslavend!! Je bent wel een middagje bezig om het mooi te krijgen maar ik vind het heerlijk om te doen. 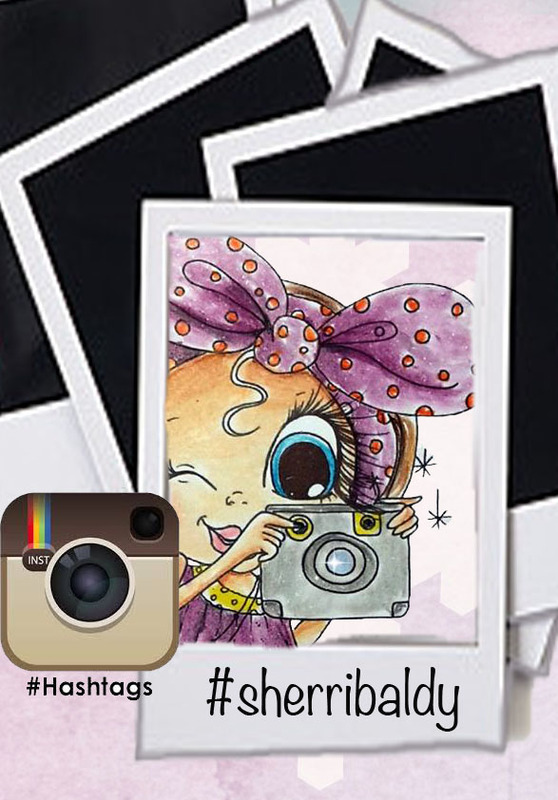 Wil je de digi ook inkleuren dan moet je nog even wachten, hij komt na 15 November in de diverse shops van Sherri! Nu nog even speciaal voor de clubleden. Ik wens jullie een fijne dag toe! 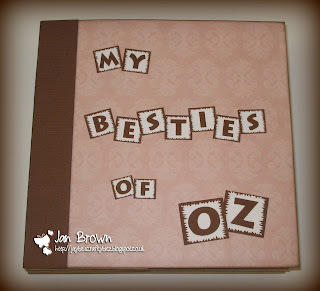 of my 'Besties of Oz' project. and shown them to you week by week. 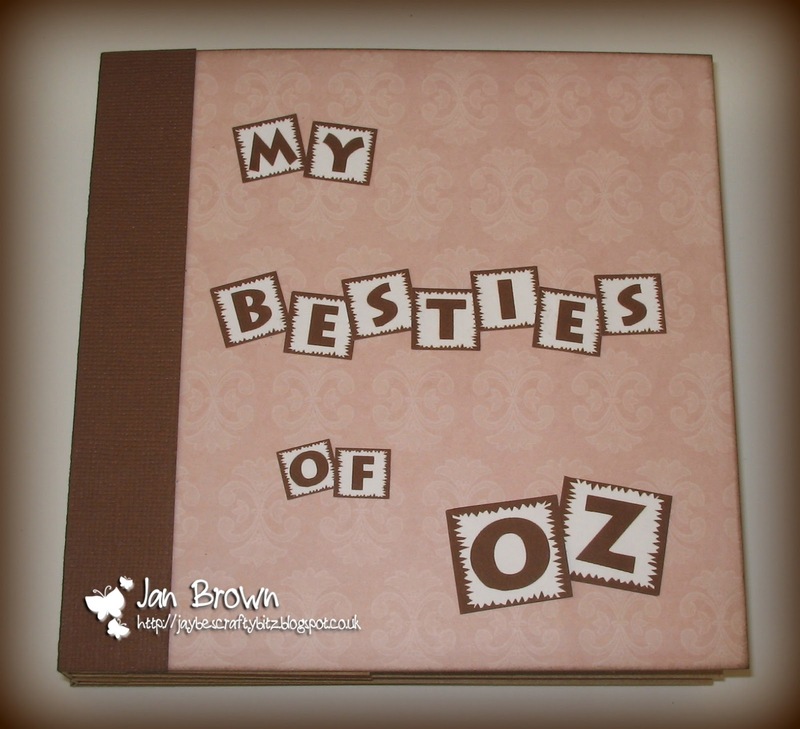 my little 'Besties of Oz' safe. 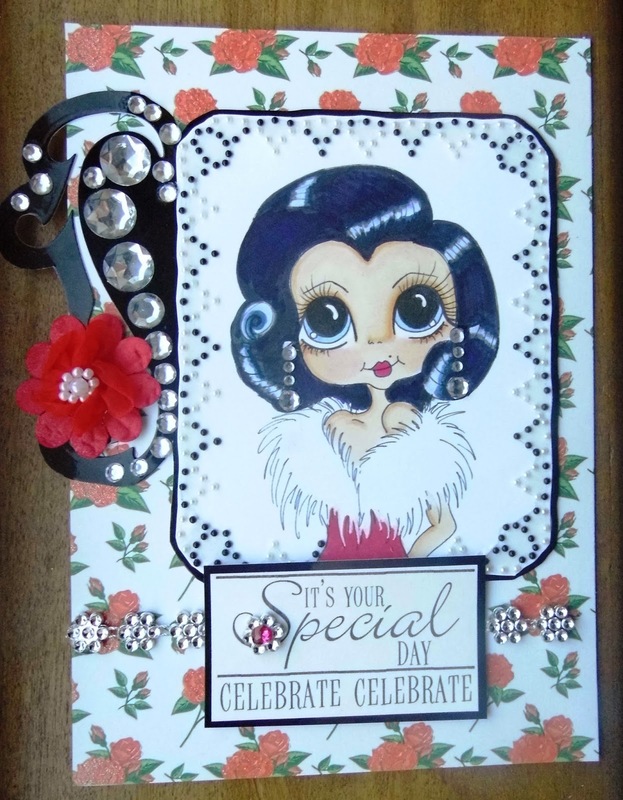 A fab glam card from me today - totally adore this glamourous digi so i decided to use lots of bling and sparkle to make her shine even more. Dit keer is het geen kerstkaartje geworden maar een verjaardagskaartje. Heb je toch ook nodig! 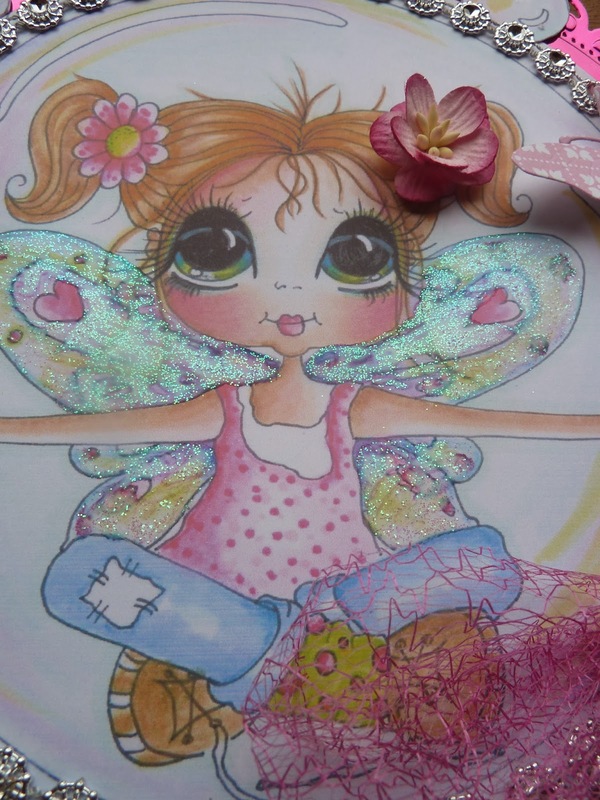 Toen ik dit super leuke bestie zag wist ik gelijk in welke kleurtjes ik haar zou kleuren. This time it's a birthdaycard and not a christmascard. You do need some of them too! 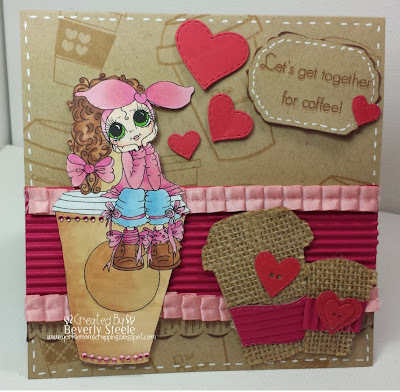 When i saw this supercute Bestie i know which colors i have to color her! 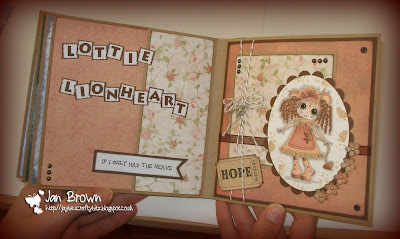 Design papier/paper : Bo Bunny "Zip-A-Dee-Doodle"
Today is my (Deonna's) Bestie post day! "Christmas in Pink and/or Silver with a Bestie"
Some time ago I had to make someting with this wooden christmas stocking for a little magazine, So I thought it would be nice to put this gorgeous Elf Bestie on it. I have colored her with copics makers and used really christmas papers in red and green colors.Of Course as a team Member of Noor! 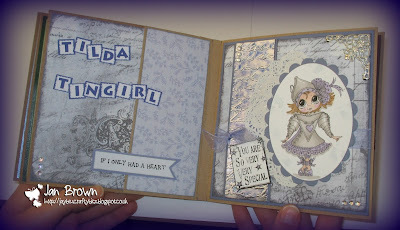 Design I had to work with some dies and stamps. 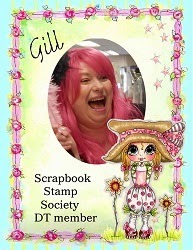 Don;t you just love the bingo card stamp?? 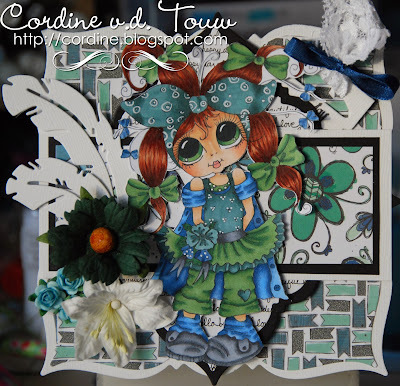 I hope I have inspired you with this creation and thanks for watching! 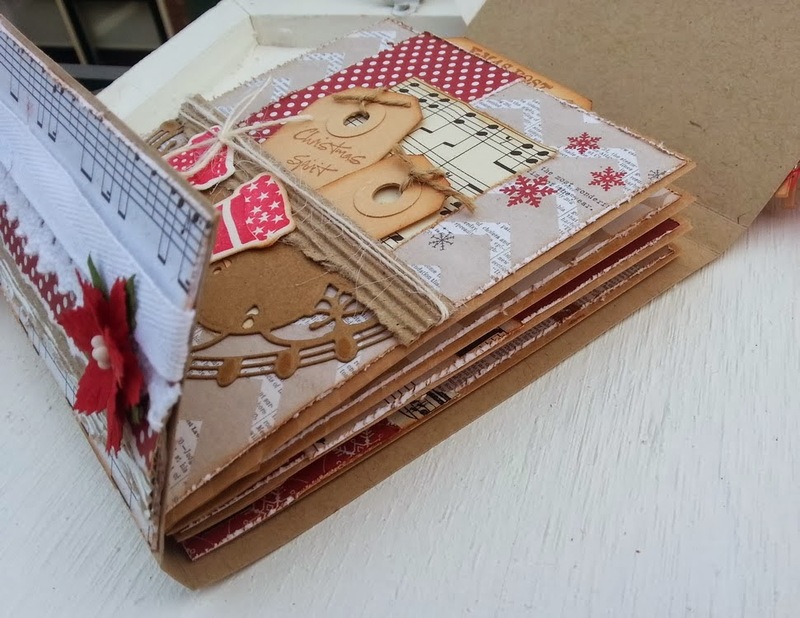 Voor de Joy Special heb ik deze keer een mdf kerstsok gepimpt. 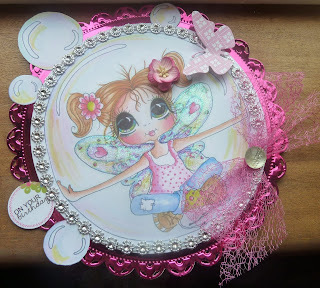 Met papier, stanzen en stempels van Noor! Design. Deze Elf bestie vind ik zo echt kerst achtig dus perfect voor op deze sok!! Ze is ingekleurd met copics markers. Ik hoop dat het jullie weer geïnspireerd heeft! Bedankt weer voor het langskomen en tot een volgende keer. 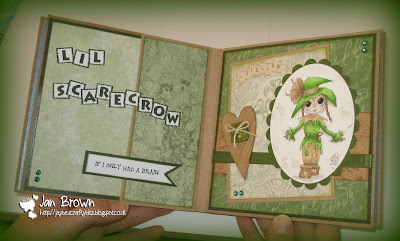 and the fourth instalment of my Besties of Oz project. I think this one is my favourite and love the fall colours. I hope you will join me again next week for the final chapter. Hello, Today is my turn again so feature one of my designs on sherri's blog. 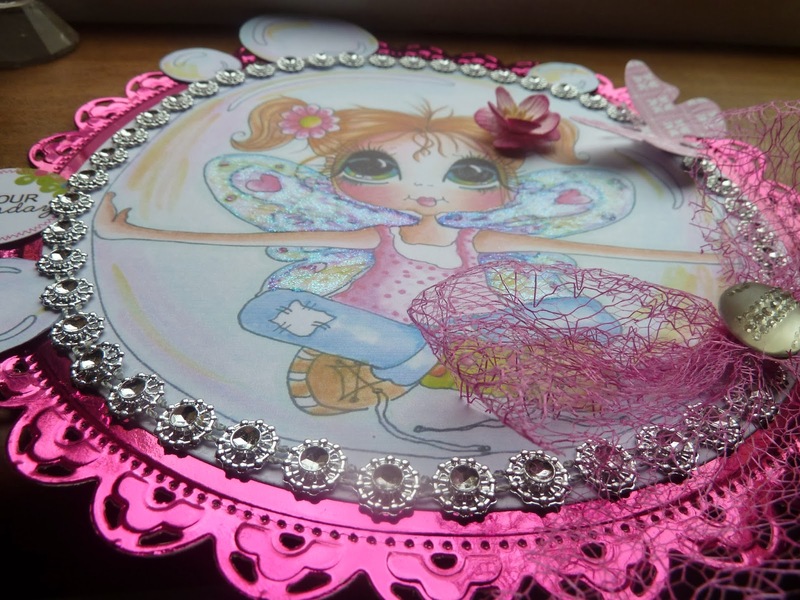 What i have created here is a large sized round card that i am calling a fairy bubble. I have used the spellbinders grand scallop dies, creata mirror card, creata festive paper, creata butterfly die. The other products are from my shop caroles crafts - bling on a string, spiders webb and large central bow bling. 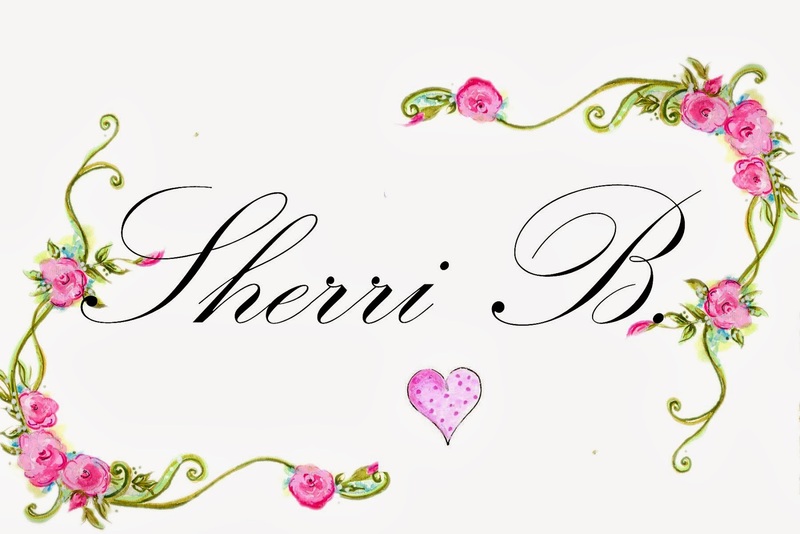 Thanks for stopping by today and hope you will pop back again soon, I show my designs each saturday for Sherri.